Award-winning author Erik Dean's works include Garbage Man, Cryptic, Cruel and Unusual, and Crueler and More Unusual. The Arizona native is a radiology technologist, who has over 25 years of experience in radiology. At times, Erik uses his medical knowledge when writing his novels. In his spare time, Erik enjoys reading horror and action-adventure novels. Additionally, he watches many different kinds of cinema, the classics, horror, action adventure and sci-fi. His favorite animal is a border collie. Erik strives to put into his novels memorable characters and situations that never have been done before. He wants to keep his reader guessing and not make his stories predictable. 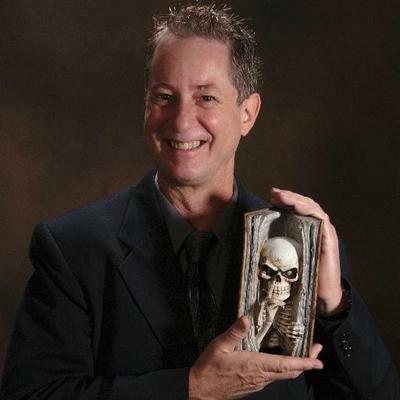 In 2017, his novel Cryptic' won first place in the “11th Annual National Indie Excellence Awards” and "The New Apple Awards" in the horror category. In 2018, his novel Garbageman won the finalist IAN award for action-adventure and Cryptic won the finalist IAN award for horror. 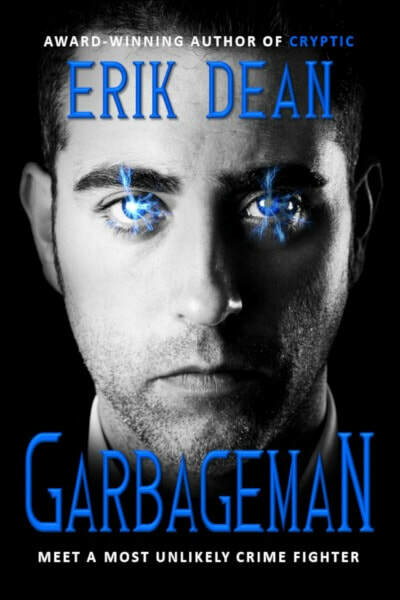 Erik Dean is currently penning his 5th book (the third book in the Garbageman series) called Wraith. 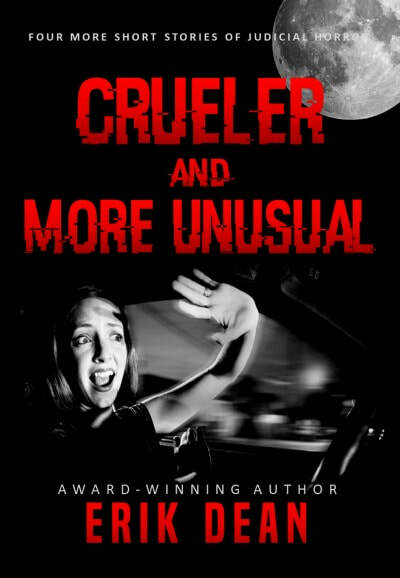 A night that starts out as the best night of David’s life goes terribly awry when he and his new fiancée Julie unwittingly wander into dangerous gang territory. When David attempts to help a dying man—and ends up shot in the head—paramedics rush him to the hospital, fearing that they might be too late. But when a brilliant neurologist uses a daring new treatment on David, saving his life and erasing his wounds—it erases his memory, too, and leaves him with amnesia. Garbageman. Who is he? And why does he want to help David? A fast-paced and thrilling novel about a crime fighter made of the things most people throw away, Garbageman will entertain and delight fans of science fiction, horror stories, and medical thrillers. Psychic David Turley is thrust into a new adventure in this thrilling sequel to Garbageman. David and his wife, Julie, are recovering from the events of the previous book. Both are doing well in their professional lives, but David’s remarkable telekinetic abilities have disappeared, and he’s eager to find the reason why. Julie, meanwhile, has immersed herself in Southwest Native American art and culture. She is a collector of kachina figures—handmade dolls symbolizing strange and powerful spirits. Her knowledge of mythology will come in handy when the supernatural world comes to call on the couple and David finds himself in possession of a strange Hopi artifact. Little does he know this will be the start of a new adventure into the complex underworld of vampire nightclubs, werewolf cults, and psychic superheroes. Dogging them both is a serial killer, the Fisherman, and other paranormal demons and enemies. To defeat these dark forces, the couple will have to put their trust in a mysterious new ally. 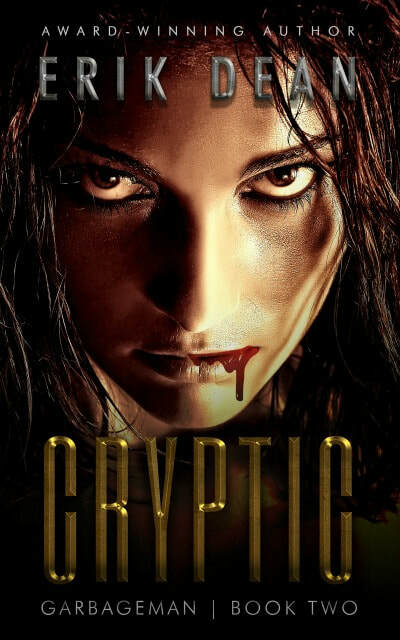 Like its predecessor, Cryptic is written in author Erik Dean’s signature synthetic style. Science fiction, horror, mystery, the occult, and even the metaphysical exist side by side in Dean’s rich world of the supernatural Southwest. In “Judge and Jury,” a violent gang tries to make its own rules. But out West, a kangaroo court is the only law, and this time, there’s a ghost in attendance. He knows the truth about their terrible crimes, and he won’t stop until someone pays for it. Capital punishment gets a vengeful twist in “The Wheel,” as the victim’s family gets involved in choosing the style of execution. It may be cruel to leave things to fate, but the mourners don’t care. They are thirsty for retribution. 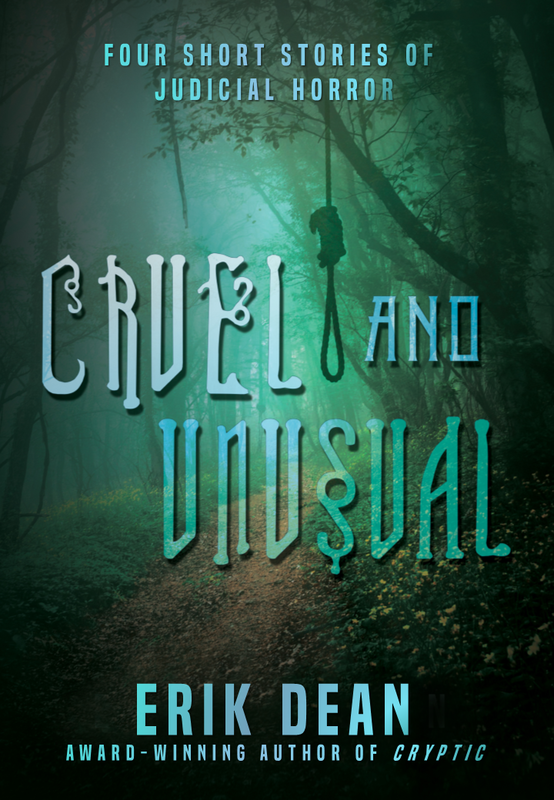 Robert Holman failed to heed the warnings and an innocent night out turns into a nightmare. What punishment is fitting for this Dummy? He realizes too late that being sorry is not enough, and that there's no hiding from the vengeful hand of fate. An amendment to the US Constitution allows for grieving families to apply for Early Release for the prisoners who murdered their loved ones. The prisoner is set loose and the family has twenty-four hours to exact their revenge. If they don't kill the prisoner within 24 hours, they're awarded their freedom. Kelvin Heyer, a bank robber, is the lucky winner this time. Will he outrun his victim’s vengeful family long enough with a little help from a Friend? Best friends and business partners Carlos and Luis are thrilled when their swimming pool design company wins the lucrative bid to build new public pools in Phoenix, Arizona. Their delight is spoiled by a business rival and Carlos’s growing—and mutual—attraction to Maria, Luis’s wife. Lust, passion, and greed quickly build up to murder and betrayal. In the future, trials take place in small pods instead of courtrooms and most cars are driverless. Holly Barlow is one of the few people who still prefers to drive her own car, but she is caught speeding and must pay a fine. She quickly learns that the court pods do more than simply accept payments for fines—they can also vaporize lawbreakers, carrying out executions instantly... and automated systems are known to break down from time to time.